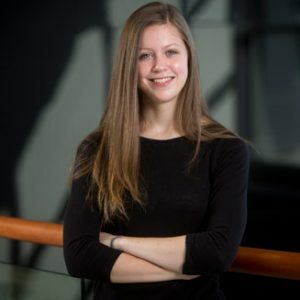 Rebecca is a fourth year PhD student studying the mechanical behavior of repaired cartilage by assessing the integration of repaired and native cartilage after autologous chondrocyte implantation. Lu, L., Irwin, R. M., Coloma, M. A., Schertzer, J. W., & Chiarot, P. R. (2015). Removal of excess interfacial material from surface-modified emulsions using a microfluidic device with triangular post geometry. Microfluidics and Nanofluidics, 18(5-6), 1233-1246. Rebecca is from Webster, NY and attended Binghamton University for her undergraduate degree in bioengineering where she was also a member of the club field hockey team. She enjoys playing intramural sports, hiking, and traveling. She is currently vice president of BMES.